Because the Arctic waters are often dark and the waters of the St. Lawrence River murky, beluga whales use sound to navigate and communicate with each other. Beluga whales use “acoustic name tags” to identify themselves to family members and other individuals in the wild, new research suggests, an indication not only of the animals’ complex social structure but also of the dangers posed by human-generated marine noise. These vocal signatures have only been documented in two other mammals: humans and dolphins. Beluga whales are social and intelligent animals that form lifelong relationships. They rely on echolocation and communication sounds, in the form of chirps, clicks, whistles and squeals for almost all of their social interactions, to find food and to navigate. 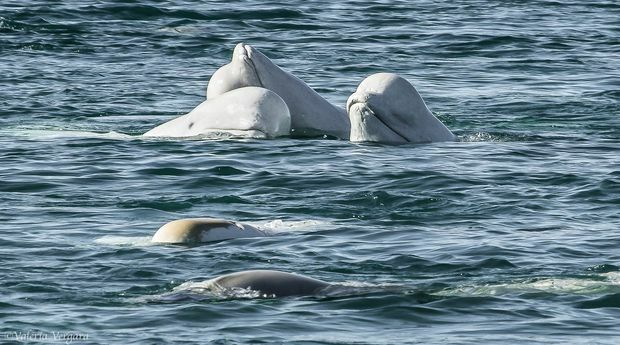 Because the Arctic waters are often dark and the waters of the St. Lawrence River murky, beluga whales use sound to navigate and communicate with each other, said Valeria Vergara, a research scientist with Ocean Wise, Vancouver Aquarium’s conservation program. Understanding the whales’ communication is key to finding out the effects of changes in their ecology, including the impact of sea-traffic noise and other underwater pollution, said Valeria Vergara, a research scientist with Ocean Wise. Understanding the whales’ communication is key to finding out the effects of changes in their ecology, including the impact of sea-traffic noise and other underwater pollution, she said. And figuring out how they behave with each other and interact with human activity in their natural habitats will allow scientists and policy-makers to understand how to improve conservation efforts, Dr. Vergara said. The beluga population located in the Gulf of St. Lawrence River is endangered, numbering about 800. Dr. Vergara, who has been studying belugas for 17 years, said her research could have a similar effect to the discovery of killer whales’ dialects in the early 1990s, which transformed scientists' understanding of orcas. Belugas are increasingly coming under threat, particularly from rising boat traffic, lack of food and loss of habitat from climate change ice melts. 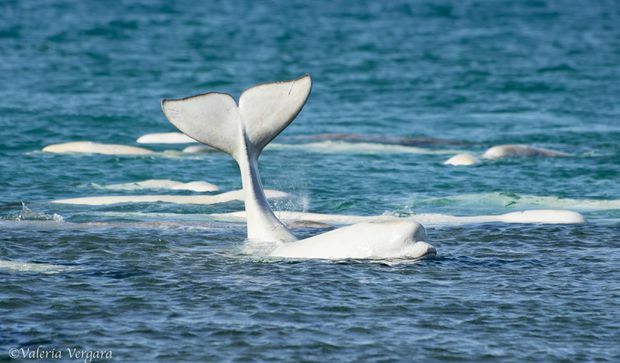 The endangered St. Lawrence beluga population has been declining at a rate of 1.5 per cent annually since 2004. Seven thousand transits by boat are made across the St. Lawrence estuary every year and are set to increase by 10 per cent by 2030. Plans to build oil and natural gas terminals in whale-critical habitats also pose a threat to the population. But this new research is a breakthrough for those trying to protect whales such as the St. Lawrence belugas, said Robert Michaud, president of Group for Research and Education on Marine Mammals. The group has been monitoring belugas in the St. Lawrence River since 1985. Mr. Michaud said the new research will help his organization, based in Tadoussac, Que., on the edge of St. Lawrence estuary, improve conservation strategies. Robert Michaud, president of Group for Research and Education on Marine Mammals, said the new research will help his organization, based in Tadoussac, Que., on the edge of St. Lawrence estuary, improve conservation strategies. The research will also help inform scientists as they track animals and begin to pair individual contact calls with whales already known to them through photo-identification. The results also mean researchers could implement passive acoustic monitoring of the population, using hydrophones placed in the river. “This really is evidence that paves the ground for a whole host of other fascinating studies that will get deeper into cognitive and communicative capacities of this animal, it’s the first stepping stone,” Dr. Vergara said. 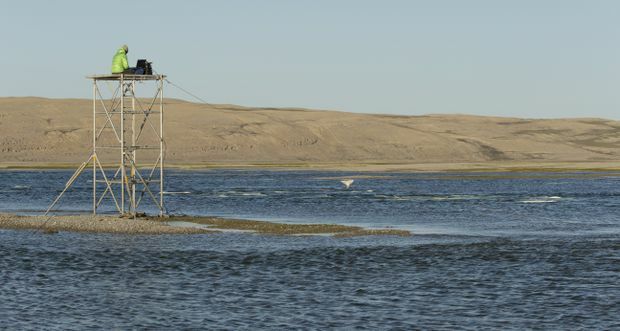 Her research suggests the beluga whales’ vocal signatures may share some of the functions of human names, but further study is needed to explore how the whales use the calls.